PUNE: Consumer appliances and electronic goods maker Haier India expects its product imports to fall by half with the additional capacity at Pune plant becoming operational, a company official said. Haier, which today inaugurated additional capacity at its plant at Ranjangaon in Pune built with an investment of Rs 600 crore, will manufacture washing machines, ACs, TV panels and water heaters. “I expect our product imports o go down from around 50 per cent at present to 20-25 per cent with this new plant. We, however, will continue to import some high end products," Braganza added," Haier India President Eric Braganza said. Haier is eyeing over 45 per cent growth in its net sales at Rs 2,300 crore in the current calender year, he said. Earlier, the company was manufacturing refrigerators at the plant. Haier's production capacity now stands at 3.8 million units. 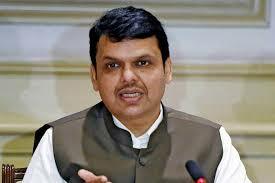 The inauguration event was presided by Maharashtra Chief Minister Devendra Fadnavis. Haier said with this additional capacity, the company will generate 2,000 new direct jobs along with 10,000 indirect employment opportunities in the ecosystem. Haier had signed an MoU with the Maharashtra government in 2015 for the plant. Haier India, a 100 per cent subsidiary of China's Haier Group, began operations in 2004 and started manufacturing in India by acquiring a 40-acre plant at Ranjangoan in 2007.